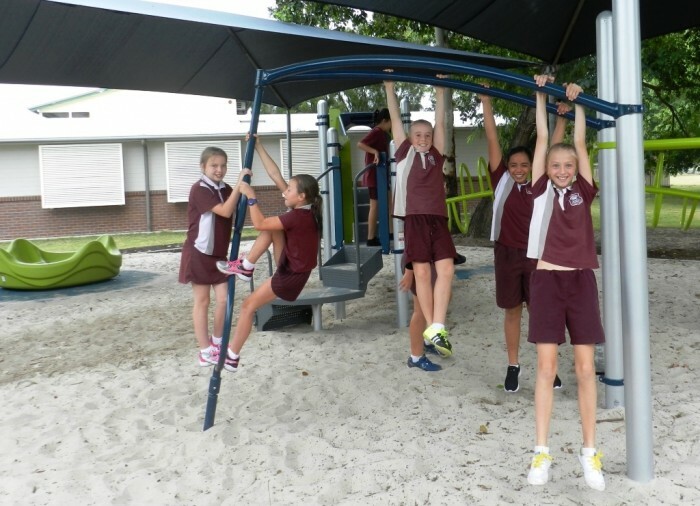 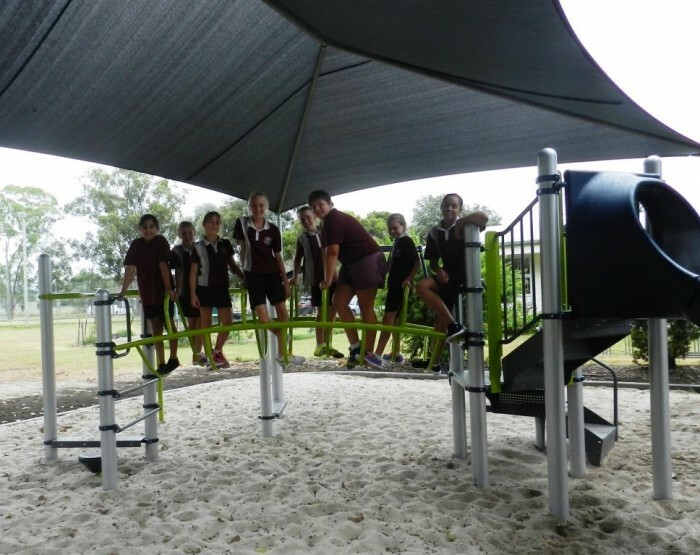 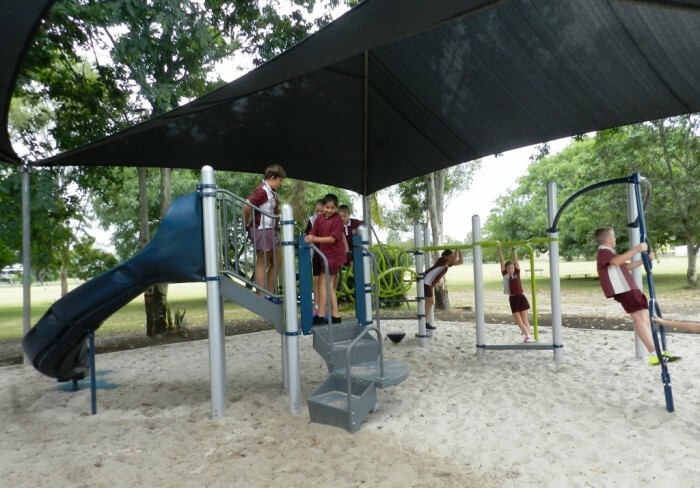 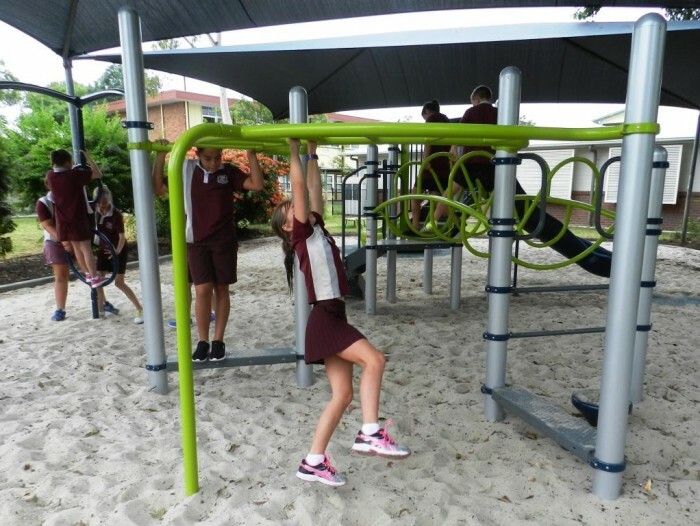 The students at Rosewood State School returned to start the school year with a brand new playground – designed with an emphasis for years 3-6, but one that the whole primary school could enjoy. 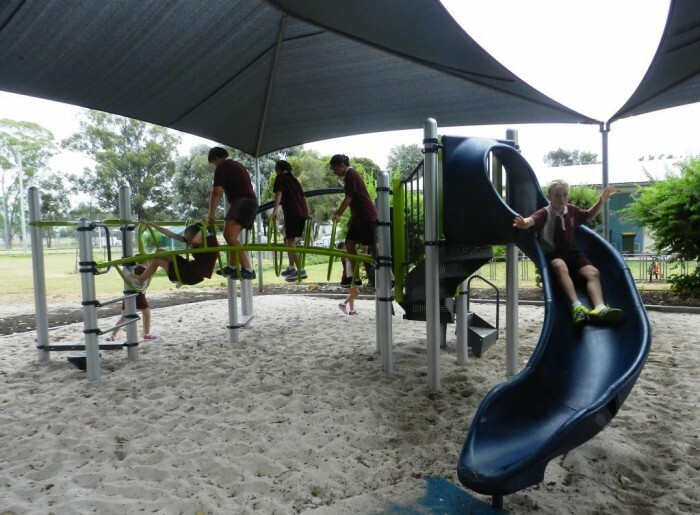 Replacing an existing deck style system, the school opted for this model which offers a vast range of activities within the space, but overall is more about promoting fitness for the children. 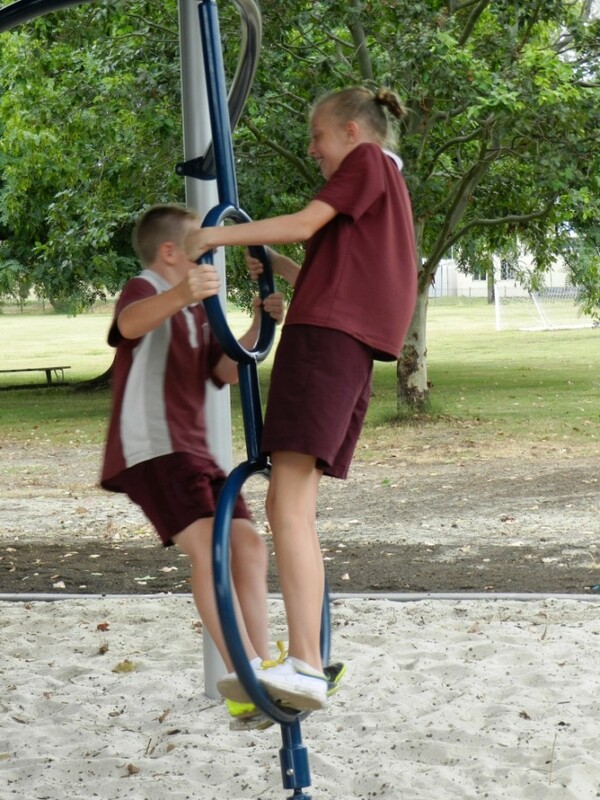 This PlayBooster LS354 has spinning, climbing, challenge, hanging, strength, agility and sliding fun with our Rushwinder Slide – all encouraging the children to push their boundaries and engage their balance like never before. 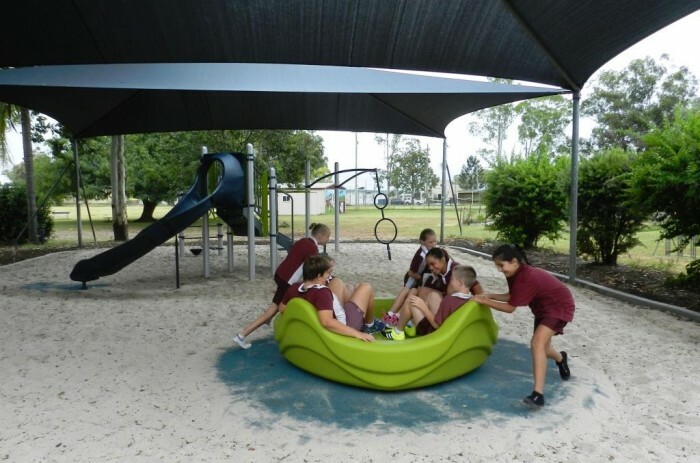 The school also took advantage of a special offer we had at the time for the OmniSpin spinner, including this into the playspace. 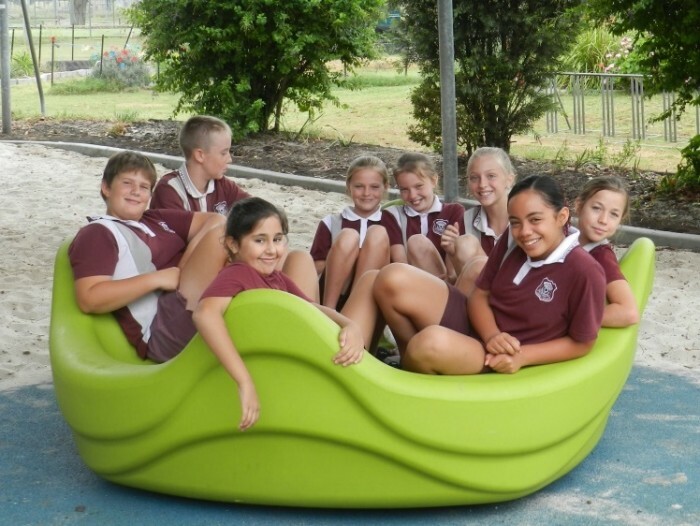 Encouraging group work and cooperation as children take turns pushing their friends, spinning provides such valuable sensory stimulation that actually helps children concentrate better when they return to the classroom. 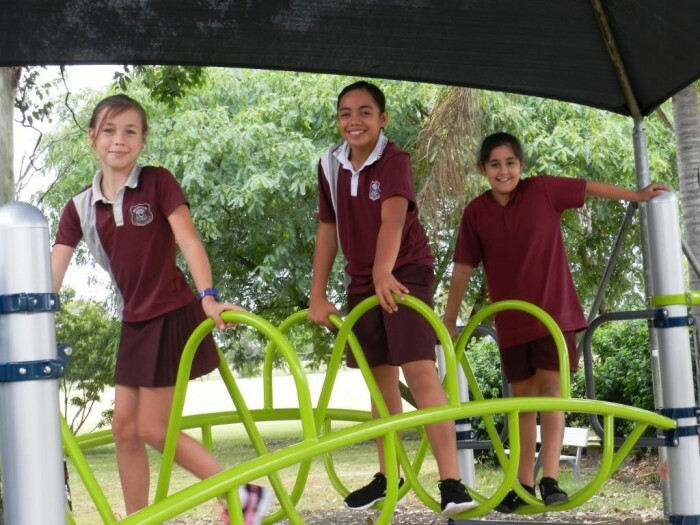 The colour choice adds a great aesthetic to the outdoor space, blending in with the natural environment, but standing out to make it a proud point in the school grounds.